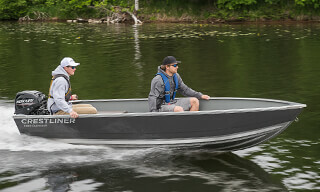 The Outreach is a dependable, utility boat – plain and simple. 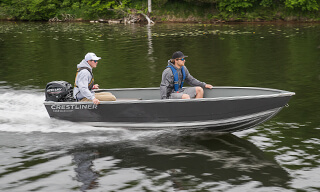 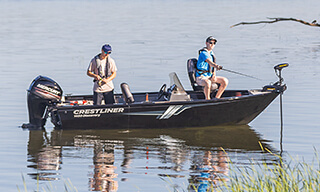 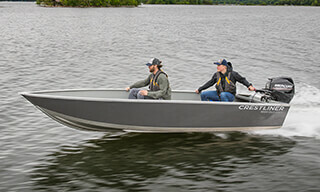 Built to last, these deep-v hull aluminum boats offer a great time on the water at an affordable price. 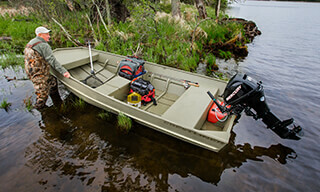 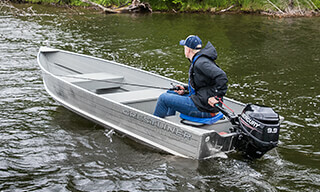 Due to their low maintenance and straightforward design, they are perfect as reliable resort boats. 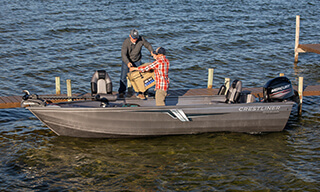 The Outreach lineup also features bench seating with walk through options and comes in a range of sizes to suit your personal needs and budget. 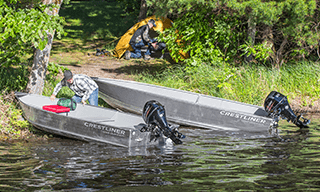 The transom handles make for easy mobility, so you can take your Outreach up to the cabin or out with you on your next camping adventure.